Long before Route 66 was commissioned in the 1920s, settlers used the Beale Wagon Road to move west. Route 66 traced the same route used by the Beale Wagon Road through Arizona. 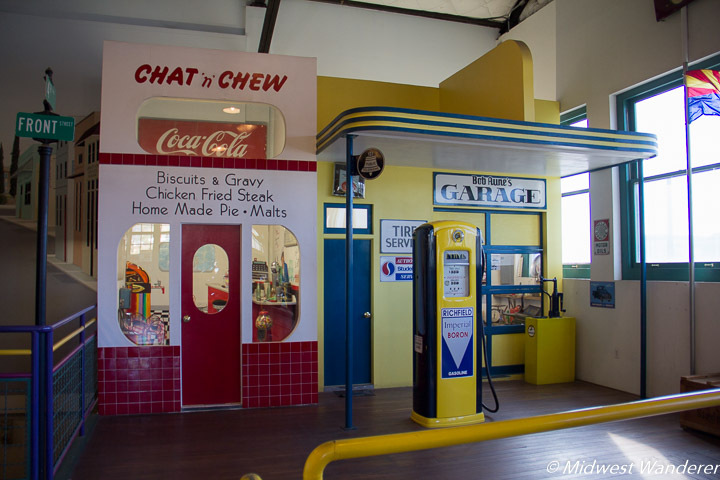 The Arizona Route 66 Museum, located in a former Kingman power plant, recalls the history of the route from horse-and-buggy days to the Route 66 heyday in the 1950s and ‘60s. 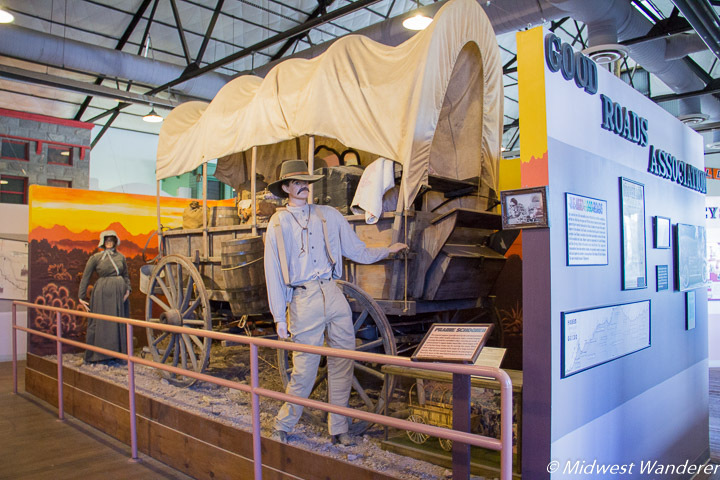 The museum’s story begins with the Beale Wagon Road. In 1857 President James Buchanan dispatched Edward Fitzgerald “Ned” Beale to survey and build a 1,000 mile road along the 35th parallel from Fort Defiance, New Mexico, to the Colorado River between Arizona and California. Beale used camels for the survey expedition, thinking they might fare better in the desert than horses and mules and would also be able to carry more weight. Although the camels worked well for the project, their sour disposition didn’t go over well with the workers. 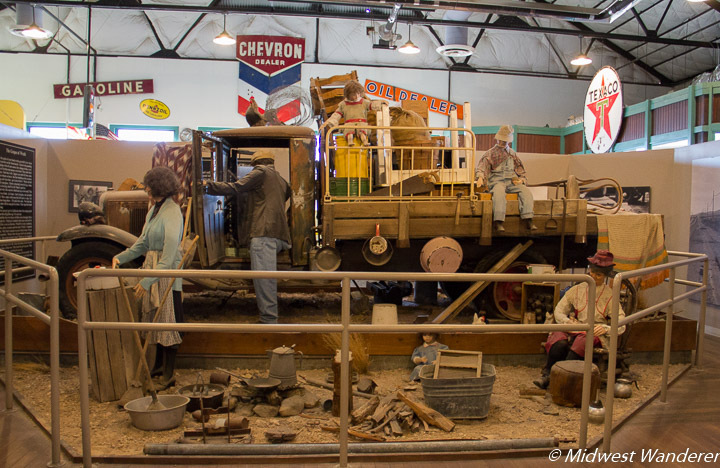 The museum’s life-size diorama depicts a family moving west along the Beale Wagon Road in a prairie schooner. Surprising Fact: Only eight percent of the families that moved to California during the 1930s Dust Bowl stayed. Most found life no easier in California and returned home. 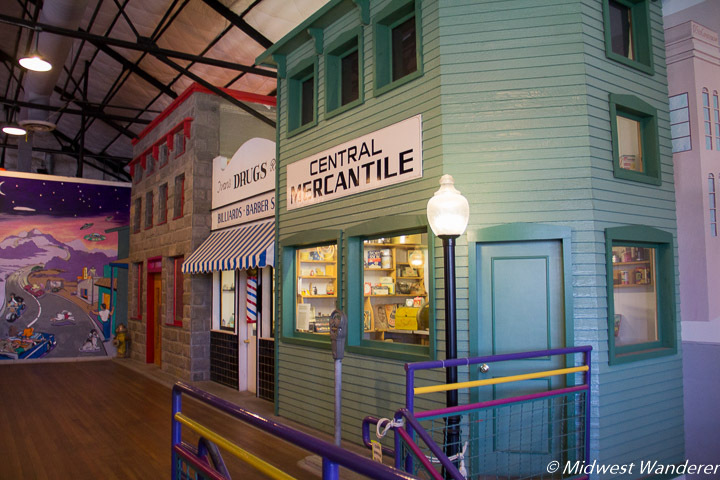 The last section of the museum celebrates Main Street U.S.A. Following World War II automobile ownership increased dramatically. With more leisure time, people took road trips along Route 66. Times were good, and businesses along Route 66 boomed. 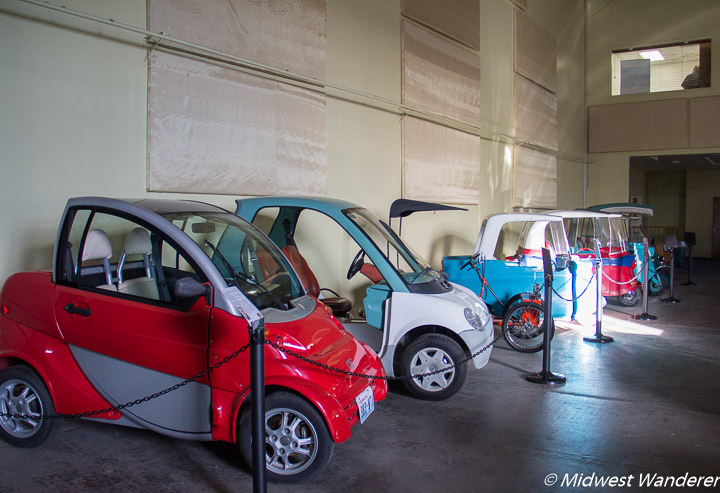 The Route 66 Electric Vehicle Museum is also located in the Powerhouse and is included with your Route 66 Museum admission. 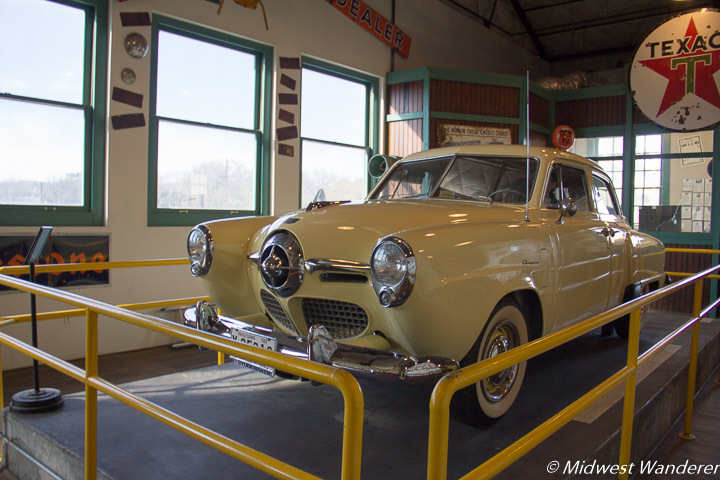 Among the fun collection of cars are several micro cars from the 1940s to ’60s. 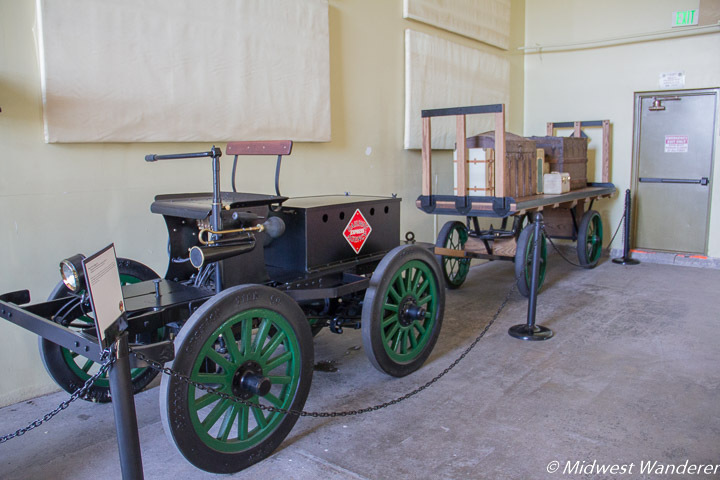 A 1909 Ellwell-Parker baggage tug, used to help the Pennsylvania Railroad to move luggage is one of only two known to exist in the world. The Powerhouse building in which the museum is located dates back to 1907 and once generated electrical power for the city of Kingman. It is the oldest known reinforced concrete industrial building in Arizona. The building’s construction was the beginning of new construction methods used in industrial buildings throughout the state. 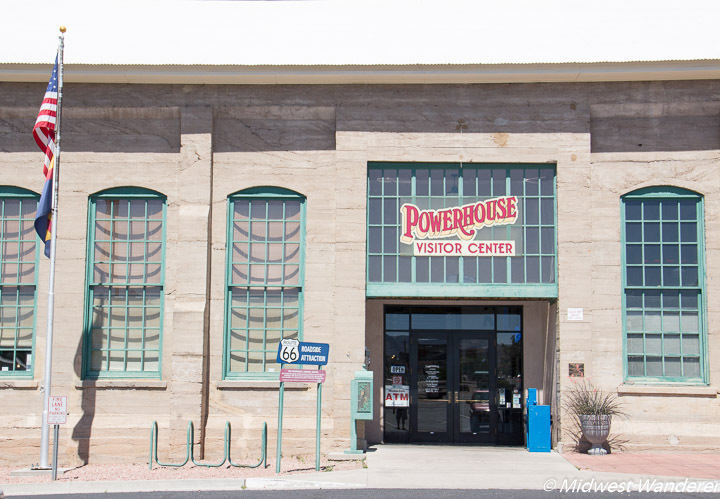 Besides the Arizona Route 66 Museum, the building also houses the Kingman Powerhouse Visitor Center where you can get information and brochures on area attractions. The Arizona Route 66 Museum, located at 120 W Andy Devine Avenue in Kingman, Arizona, is open daily from 9 a.m. to 5 p.m. Admission is $4.00 and also includes admission to the nearby Mohave Museum. Check the website for further details. What a fun museum! One thing I love about that area of Arizona – and other cities along the route – is all of the Route 66 memorabilia and nostalgia. I don’t remember the museum being there…but I haven’t been to Kingman in 20 years! (Yikes!!) Next time we’re in Arizona, we’ll have to run up to Kingman and take a look! We skipped this museum on our trip west last year. We figured we had seen enough Route 66 museums, and many of them had the same nostalgic Route 66 memorabilia. I’m glad we stopped in this year because it’s specific to the history of Route 66 in Arizona and includes the route even before it was Route 66. One thing I failed to mention in my article is a small theater toward the end of the museum tour with a video of iconic Arizona Route 66 sites and people like Historic Arizona Route 66 founder Angel Delgadillo talking about them. Definitely worth spending the time watching the video.